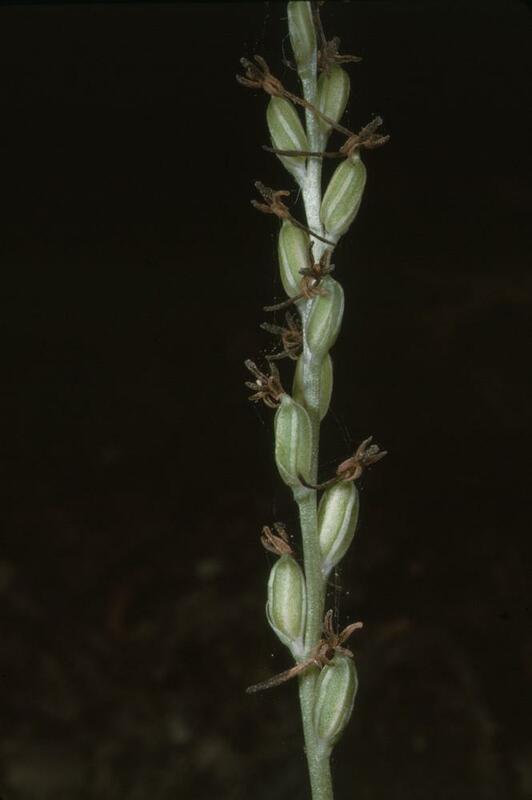 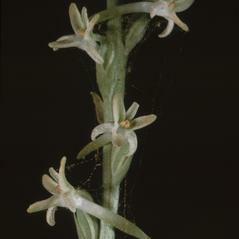 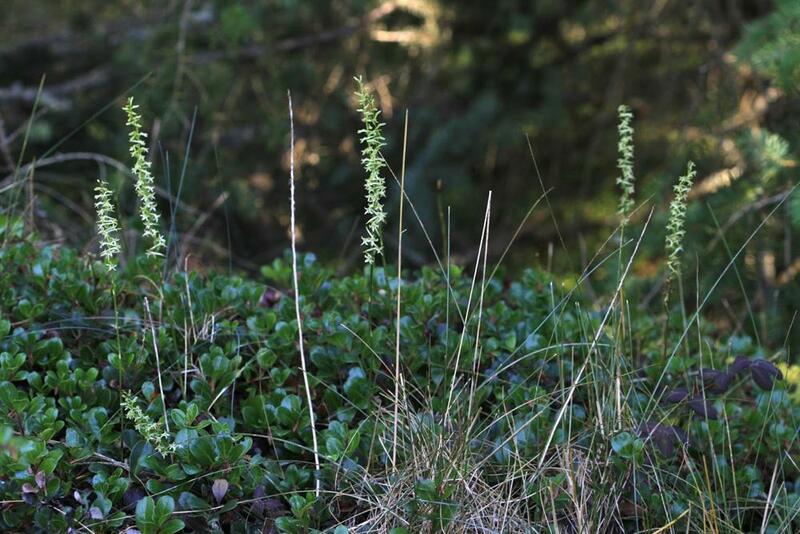 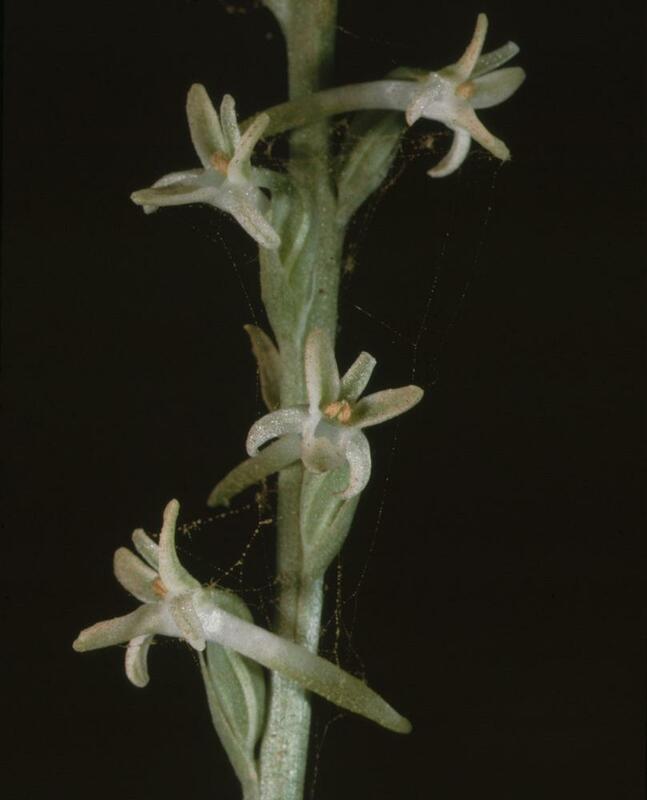 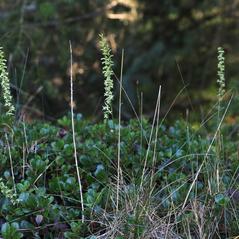 Platanthera transversa, the Flat Spurred Piperia, is widely distributed throughout California and extends northward into British Columbia. 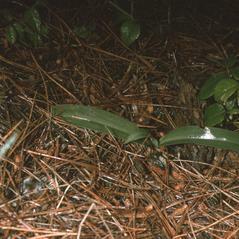 This orchid has a pair of basal leaves that emerge early in the spring but wither by the time of flowering. 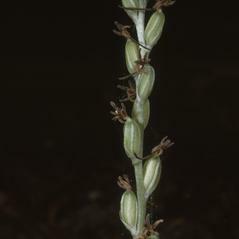 The inflorescence consists of numerous white to yellow flowers with green midveins on the sepals and petals and are fragrant at night. 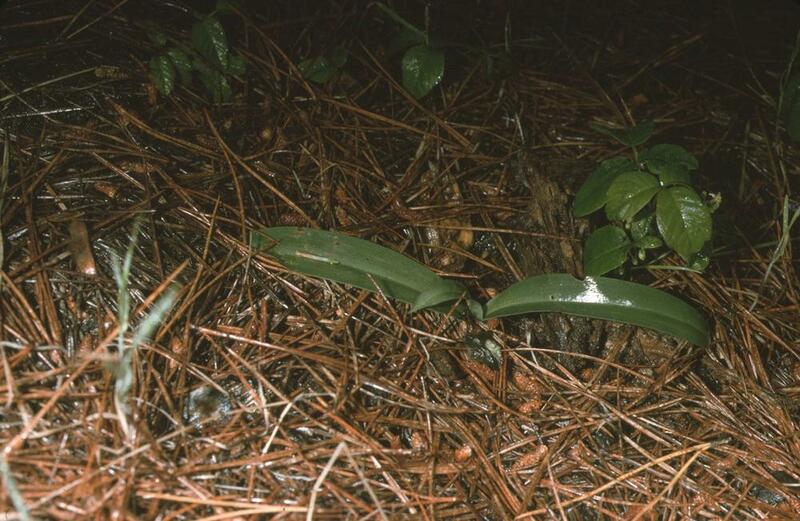 This orchid can be recognized by its slightly flattened horizontal spur more than twice as long as the labellum. 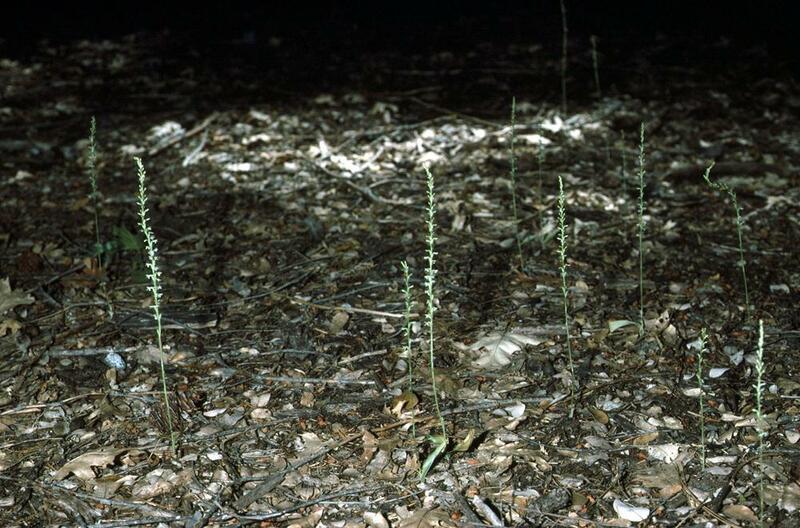 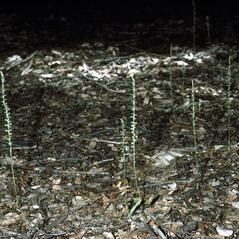 P. transversa generally prefers dry sites, including scrub and oak woodlands or conifer forests. 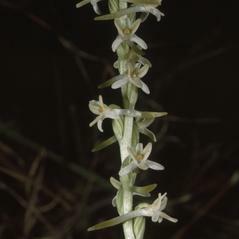 Platanthera transversa is apparently secure across its range with many sites occurring in protected parks and reserves. 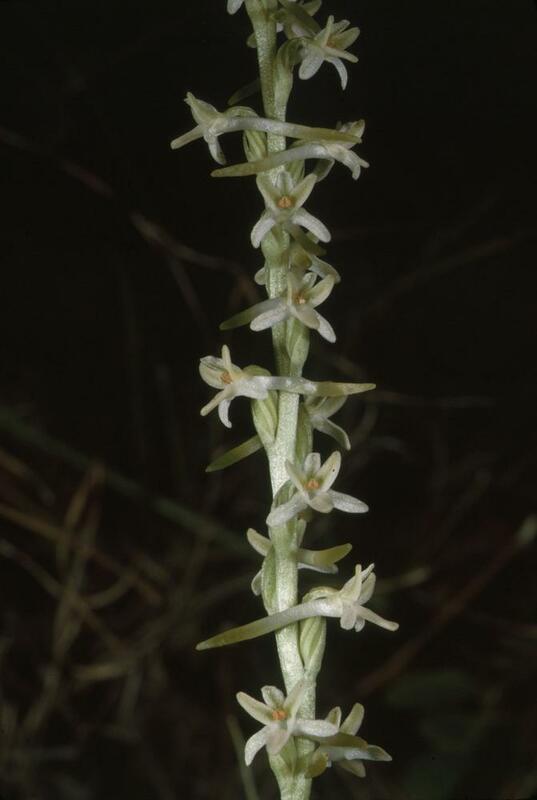 This orchid is pollinated by the moths in Geometridae such as Thallophaga taylorata with pollinaria attached to the proboscis.